How many times this season I’ve heard “I don’t like this short dance!”, “Why did they choose hip-hop?” and so on and so on. Oh my sweet summer childs, enjoy your last time watching bluse/swing/hip-hop because next season something really scary waits for us. LATINA! Don’t believe me? See for yourselves. Let’s make bets, ladies and gentlemen, who will be a victim of an animal print next season. You think no one? I would’t be so naive ) The tiger-leopard did not pass by even the great ones. Scott, what was that? Fabulous costumes of Chinese dancers) Simply beyond the competition. Seen once, never will be forgotten. And against this incredible background Russian team….dressed for the funerals. 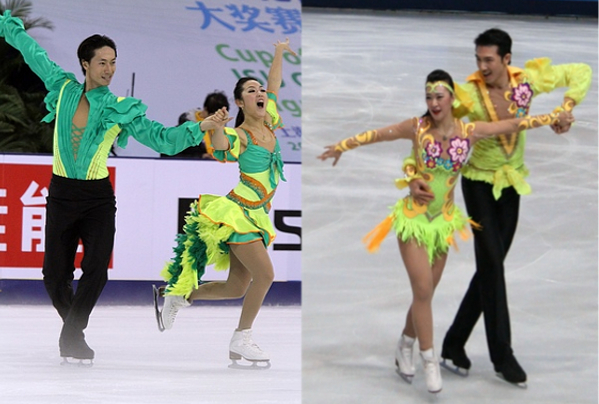 Oh, wait) There was one Russian team who almost beat Chinese dancers in costume competition. Gorshkova-Butikov, coached by E.Tchaikovskaya…..So, if I were Sinitsina/Katsalapov I’d start worry. Don’t relax! Dances were no less fabulous) Here’re some unforgettable moves. Keep calm and love ice dance. Wake me up when 2018 is over. I can’t stand the Latin dances. 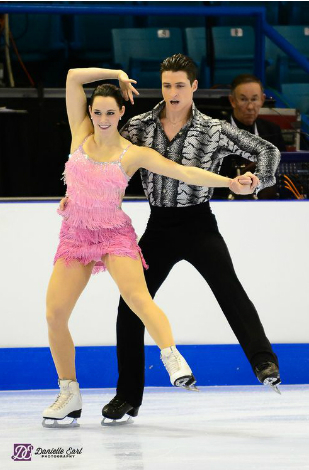 The costumes are usually hideous and the dances look nothing like the ballroom dances they are trying to emulate. Unforunately the Latin hip=centric style just does not translate well on the ice.